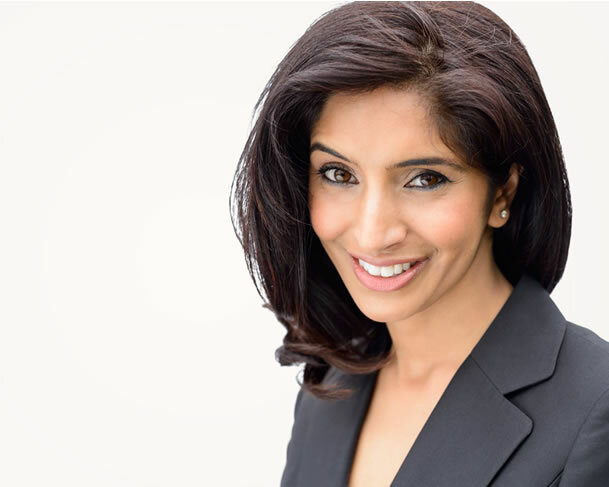 Prior to joining Magdalen Chambers, Pakeeza worked as a legal adviser for 6 years in the Family Courts and dealt with all aspects of the law relating to children. This involved advising magistrates and district judges on law and procedure in private and public law proceedings and adoption. Through this role Pakeeza became highly skilled at dealing sensitively with the growing number of litigants in person – a skill she brings to her work at the Bar when representing vulnerable clients. She represents local authorities, guardians and parents at all stages of proceedings and has considerable experience of case management. Most recently Pakeeza has undertaken a 7-day final care and placement order hearing representing the guardian and children. Owing to her extensive knowledge of criminal law and procedure, Pakeeza is also instructed in cases where there are linked care and criminal proceedings. Pakeeza is frequently instructed in private law children work and applications for injunctive relief under Part IV of the Family Law Act 1996. She is known for her sympathetic yet professional approach when representing parties in intractable disputes. Pakeeza has an expanding practice in financial remedies and accepts instructions in all areas including child maintenance, Trusts of Land and Appointment of Trustees Act 1996 and Schedule 1 Children Act 1989. Pakeeza’s commitment to safeguarding vulnerable children led her to work in Cambodia on a project for ChildFund to establish a child protection framework. She still maintains strong links with the charity and devotes her time and skills to support its work. She represents Local Authorities, Guardians and parents at all stages of the proceedings and has considerable experience of case management. Most recently Pakeeza has undertaken a 7-day final care and placement order hearing representing the Guardian and children. Pakeeza is also instructed in cases where there are linked care and criminal proceedings due to her extensive knowledge of criminal law and procedure. Pakeeza has a detailed and extensive knowledge of law and procedure in the Magistrates’ and Youth Court having been a legal adviser to the Magistrates for several years. Her expertise in youth criminal law culminated in her co-writing the “Youth Court Guide” twice. Pakeeza accepts instructions in motoring law cases in which she has gained a wealth of experience through her previous role as a legal adviser in road traffic courts. She advises and represents those facing penalty points or road traffic disqualifications, either through speeding, careless or dangerous driving, failing to identify the driver, driving whilst unfit throughout drink or drugs or any other road traffic contravention. She has considerable experience of special reasons and exceptional hardship arguments and an excellent understanding of road traffic legislation. Pakeeza has also been involved in some of the first prosecutions under the Hunting Act 2004 in Somerset and also accepts instructions in ASBOs, Closure Orders, DVPOs, RSPCA, Environment Agency, Trading Standards Department and Health and Safety cases. She is frequently instructed by the Police to apply for and prosecute the breaches of Domestic Violence Protection Orders. Pakeeza has an interest in the Arts, enjoys fine food and for relaxation takes long country walks and practises Yoga. She enjoys travelling and experiencing new cultures ranging from city breaks in Europe to trekking in the Atlas mountains, and riding camels in the Sahara desert to more recently living in a remote Cambodian village whilst teaching English to children. Pakeeza’s charitable work extends to her being a trustee for her local Somerset charity, Benchmark, whose aim is to enhance young peoples lives.